In the early 1970s, India was divided between people who stuck to their traditional bicycles and the thrill seekers who were fast adapting to motorcycles. For most of the middle-class population, cycles worked better because they were cheap, durable and required minimal maintenance. On the other hand, motorcycles were attracting a lot of attention for the speed and comfort that they offered, but with a price tag. 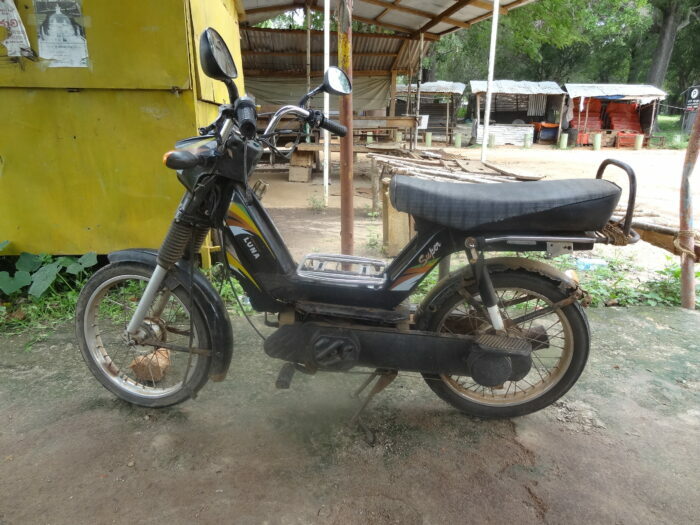 Enter Pune based Kinetic Group who in partnership with Honda, brought a 50cc bike that was based on the design of a cycle but its motor offered speed and reduced the manual effort. The bike weighed just 50 kg and offered the middle-class Indian an upgrade from his bicycle while still thinking of his comfort and time—all at affordable rates. The advertising around Luna was kept very basic and the characters were put in day to day situations to give it a very realistic feel so that the users could relate to it. The moped was aimed only at the middle class and not the elite class. Characters like Ram Murari, a government employee, Ravi Kumar, a trader, and Radha, a medical student, who were part of the campaign, were people viewers could relate to. They had issues of time management, wanted to strike a work-life balance and at the same time desired to excel in life, academics, and business. Even though the brand used Smita Patil and Shabana Azmi initially, after gathering some attention, they switched to common Indian faces and chased the mass appeal rather than class. The tagline —Chal Meri Luna was a rehash of the popular Hindi song, “Chal mere ghode” and this clicked with the audience like anything. The idea was the brainchild of the advertisement wizard, Piyush Pandey, who struck gold in his very first professional assignment. The scooter, launched in 1972, remained a super hit with the masses until the late 1990s. “Competition intensified in Kinetic Motor’s main segment of gearless scooters with the entry of large players like Honda, Suzuki and Hero Honda. The Kinetic Group decided that it would be difficult for its two-wheeler business to be profitable as a standalone scooter manufacturer,” Sulajja Firodia Motwani, the managing director of Kinetic Motor Company mentioned. Eventually, Luna faded away and was replaced by more fuel-efficient and sturdier two-wheelers and bikes. 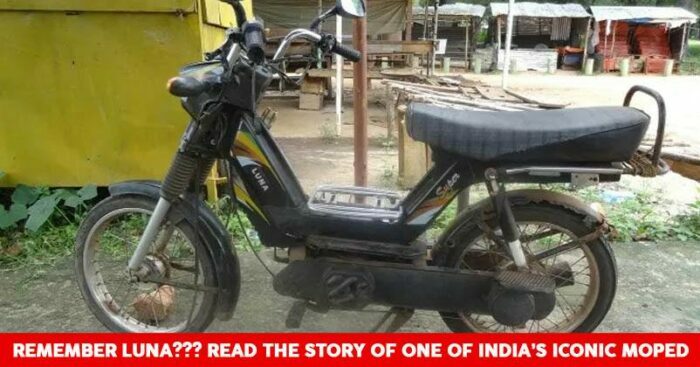 Even though Luna may mean nothing to the current generation, the generation who witnessed this revolution would always remember Luna as India’s most iconic moped ever.